We’ve just wrapped up our 2014 iPad contest and are announcing the winners through our Facebook page! We collected and reviewed every single one of your many submissions through our Facebook and Instagram pages and are congratulating the three winners below! 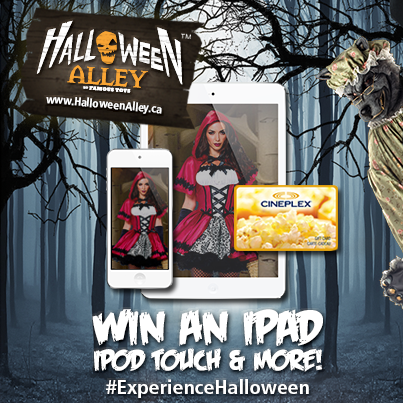 If your name and photo are here, e-mail us at social@halloweenalley.ca to claim your prize! 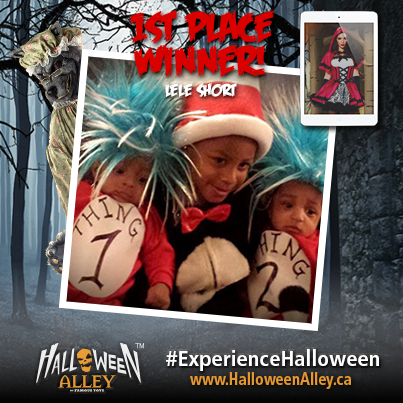 Our grand prize of an iPad Mini Retina Display 16GB with WiFi goes to Lele Short, who sent us photos of her adorable family. We hope the Cat in the Hat, Thing 1 and Thing 2 enjoy the new iPad! 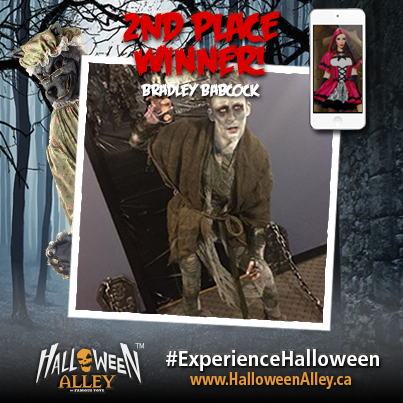 Bradley Babcock takes our second prize of a 16GB iPod Touch for this truly impressive costume and makeup work. The details count! This costume rocks from head to toe. Congrats Bradley! 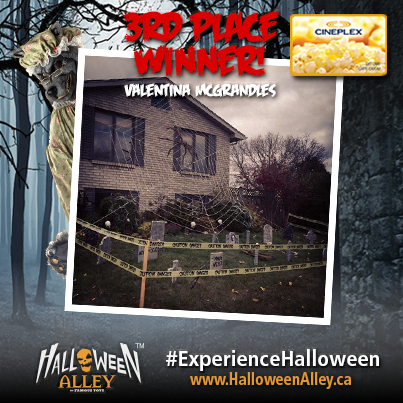 In 3rd place, and the winner of a $50 Cineplex gift card, Valentina McGradles! Valentina was obviously busy scaring everyone in her neighbourhood. This is one of many photos we received of her house — haunted from inside and out. Enjoy the movies!